BIC Xtra Sparkle 15-Pack Mechanical Pencils Just $2.16! Was $7.89! 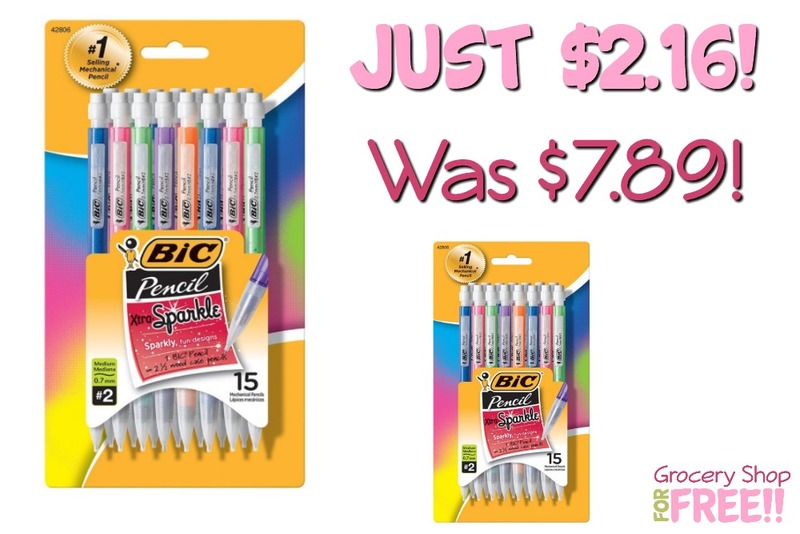 You are here: Home / Great Deals / BIC Xtra Sparkle 15-Pack Mechanical Pencils Just $2.16! Was $7.89! You can get this great deal on mechanical pencils today! Grab these BIC Xtra Sparkle 15-Pack Mechanical Pencils for just $2.16 today! They are normally $7.89! With their sparkly, colorful barrels, BIC Xtra-Sparkle Mechanical Pencils make writing fun and easy. These mechanical pencils require no sharpening and feature a convenient click to advance mechanism that advances lead with a simple click, so you’re always prepared to write. The #2 leads write smoothly, resist smudging, and erase cleanly to help keep your work looking tidy.